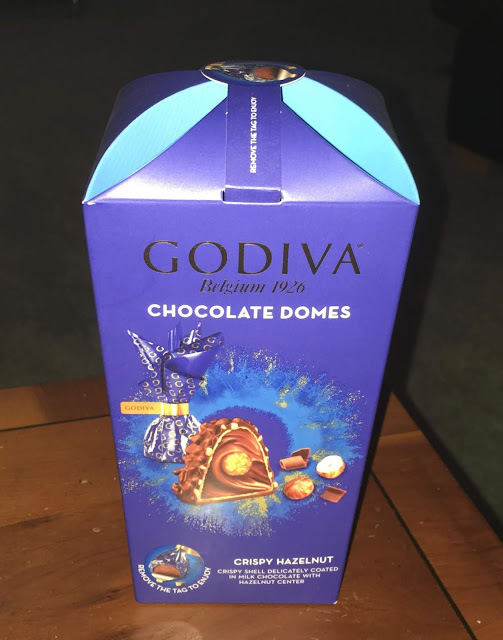 I love the combination of chocolate and nuts and these Godiva Chocolate Domes looked too good to pass up on. The box is very posh looking and the cardboard on the lid unfolds neatly (and refolds closed). 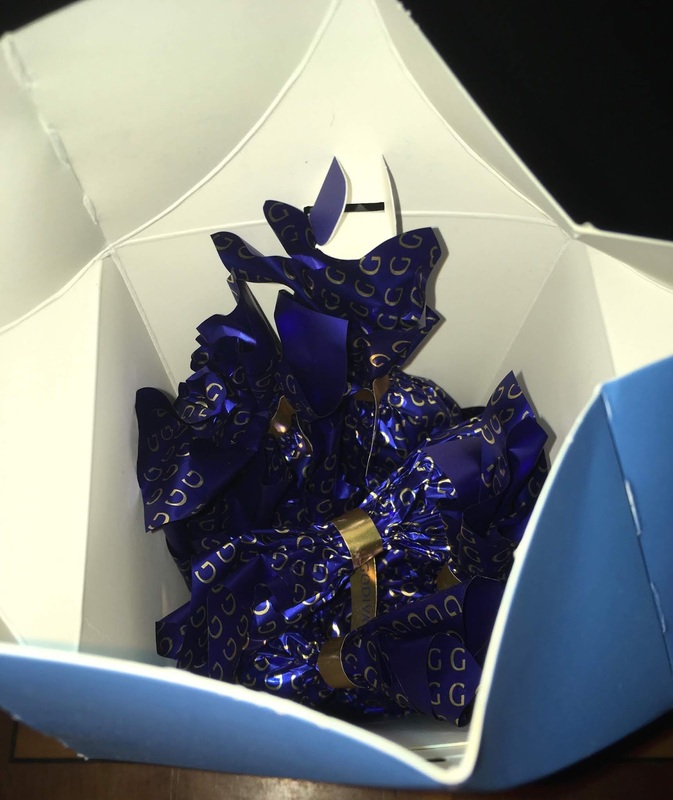 The chocolate wrappers also look stunning, they ate bright shiny metallic blue and smartly packaged. 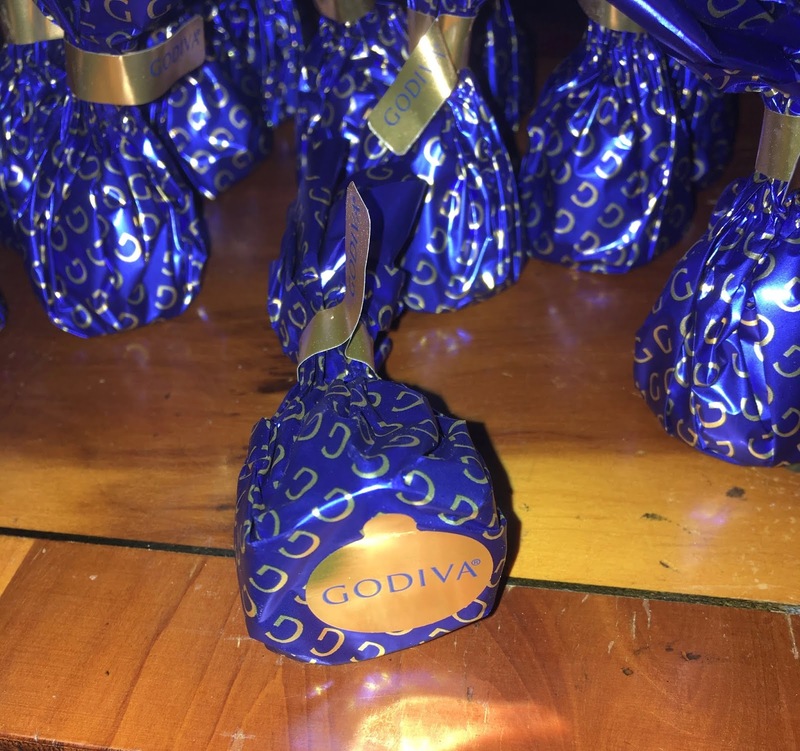 Underneath each one is a pull tab to open them, which is handy and if you tug it the wrapper splits and the chocolates unwrap. I know I have gone on about the packaging longer than usual but it is very smart and is quite the statement. 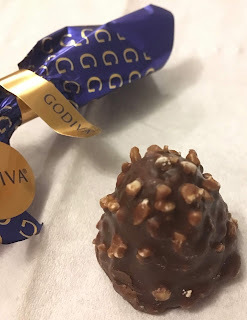 Inside the packaging the Godiva Chocolate Domes are made with milk chocolate and covered in nuts. Inside there is wafer too offering crispy layers and a whole nut inside for a good crunch. The chocolate is sweet and creamy, and very indulgent. It feels thick and sumptuous. The ganache inside melts in the mouth and the rich cocoa level is spot on. 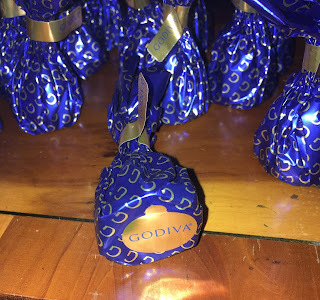 These consist of perfect chocolate combined with nuts and a fabulous mix of crispy and crunchy textures, and eating them I was in chocolate nut heaven. These chocolates are an absolute delight, right from the packaging through to the contents they are a nut lovers dream. I hope I get some more of Christmas.